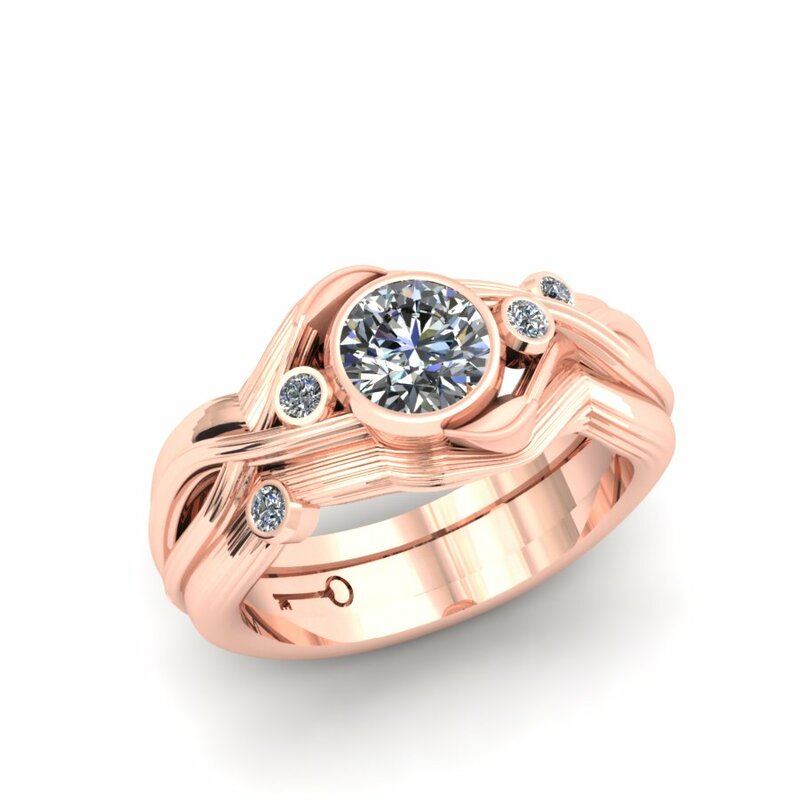 TREE INSPIRED CUSTOM BEZEL BRIDAL SET – The Goldsmiths Ltd.
Tree inspired 14k rose gold custom engagement ring holds a European cut diamond center with smaller round diamond accents on either side, each set in a bezel. The twisted shank of this custom engagement ring has the texture of bark with leaves branching out on either side. A Greek key was embossed inside the shank for personal meaning to the clients. On either side of the engagement ring a wedding band with the same tree texture is curved to fit flush against the engagement ring with diamond accent.